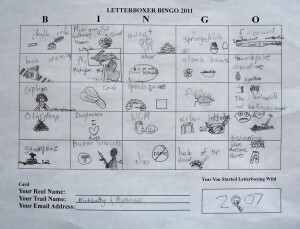 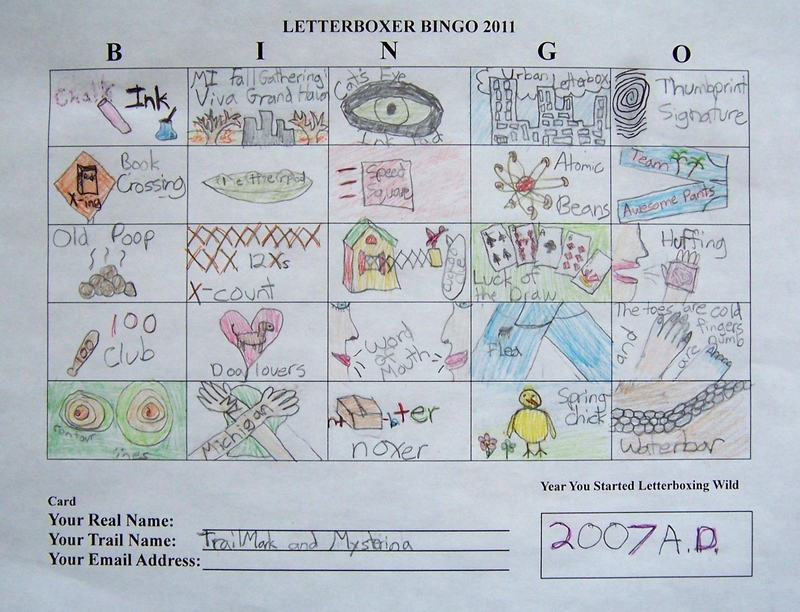 Our tradition continues: here are images of our 2011 Letterboxer BINGO cards. 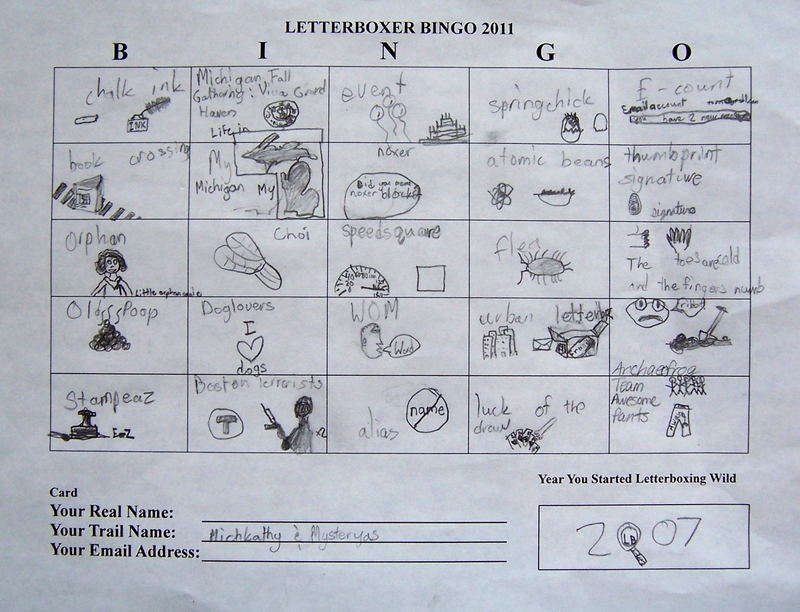 This year’s host is Familyof6 (thanks! 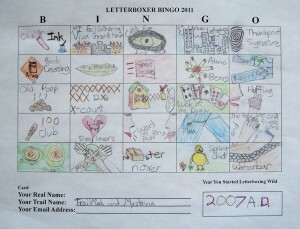 ); this is our third year participating.